So…wow. There’s been a lot of stuff released or announced involving the AGE (Adventure Gaming Engine) system lately. Lot of things going on and it can be hard to keep everything straight. So, for this week’s Ronin Round Table? Let’s recap. Fantasy Age is the AGE system reworked from the version used in Dragon Age to provide players and GMs with a broader fantasy experience, not linked to the world of Thedas. The rules will be similar to Dragon Age’s rules, but with some changes to character creation, especially the magic system for mages. The first release for Fantasy Age will be its corebook, intentionally designed as a shorter, more streamlined book to help get you ready to play quickly. There’s been a lot of discussion on this already and more to come, but just recap quickly this is the setting for Wil Wheaton’s new RPG based Tabletop series. It’s a post-apocalyptic techno-fantasy in the vein of Thundarr the Barbarian. Titansgrave will use the Fantasy Age rules. So…Blue Rose’s kickstarter didn’t launch on April. That’s because between some high profile Kickstarters from other fine creators and companies and us working to get various other releases ready, the month just rushed by a too quickly to run it right. However, it’s coming soon. Steve Kenson and I have been figuring out changes to the world of Aldis and recent events there while Chris and Nicole are discussing the logistics of the Kickstarter to help ensure things go well. Watch for an announcement and your opportunity to back the Kickstarter when it’s ready to go live. Lest anyone think I forgot. 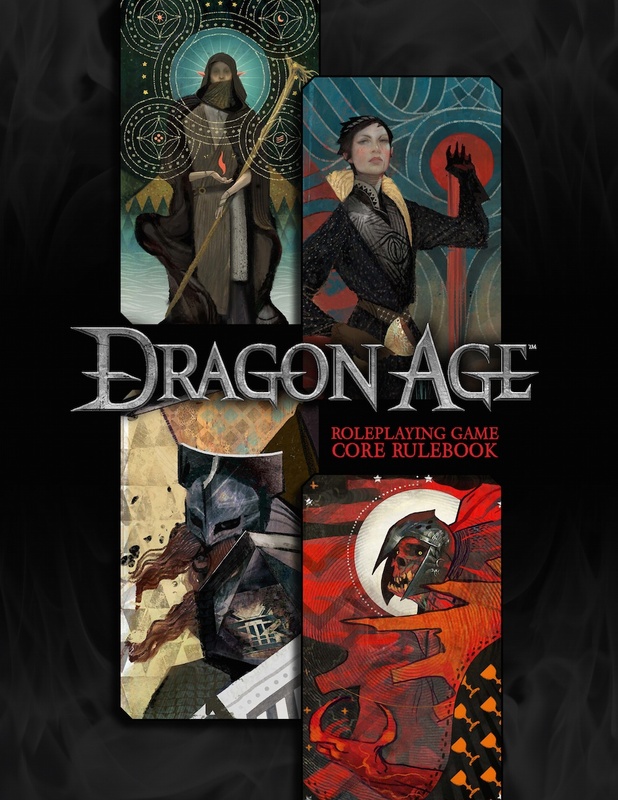 There’s Dragon Age, the game that started it all. The new corebook is out in PDF, has been updated with various fixes and corrections, and is being sent to print. The GM screen is next, with the included adventure in editing. Then we’ll have Faces of Thedas, which details various important characters and groups throughout the Dragon Age setting. All the first drafts are written and while development slowed briefly due to Titansgrave, Fantasy Age, etc… it will be picking up again soon. So yeah, LOTS of AGE related material on the horizon. I’ll update folks with more information as it comes. It’s going to be an exciting year!